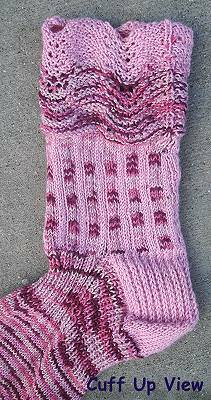 What a versatile sock pattern that can be knit up in a variety of any one of our cotton or blend sock yarns! It’s so cute! We’ll be posting lots more Free Patterns weekly, so bookmark this page and check back often! Knit these super soft and comfortable socks with this free knitting pattern in Panda Silk , Panda Soy, Panda Cotton, Maizy or Luscious Cotton yarns! A set of 4 Double Point Size 1.5 and size 2 Bamboo Knitting Needles are needed for this pattern.